The medical director of the neonatal/pediatric flight team is provided by a board-certified neonatologist. The medical director of the adult/pediatric team is provided by a board-certified emergency physician. Medical directors or their designee are accessible 24 hours a day. Attending physicians in the neonatal intensive care unit and the emergency department are available via radio and telephone for emergent intervention when required. Administrative staff is on call at all times. 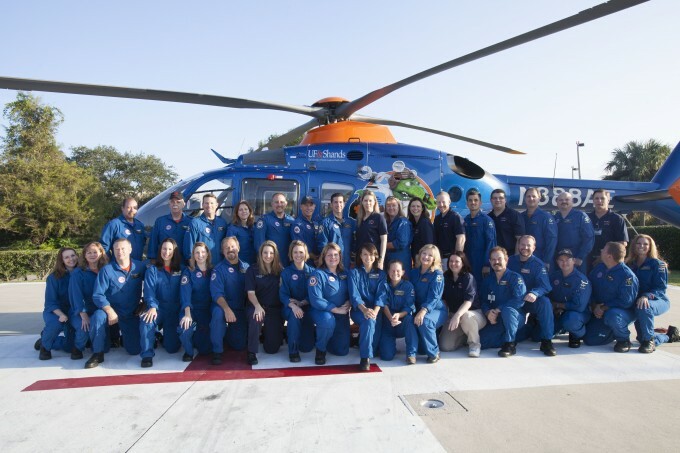 Management consists of a program director, chief flight nurse, operations manager, and a Communication/Transportation Supervisor, as well as lead staff over the team divisions. Unit staff includes registered nurses, APRNs, respiratory therapists, registered nurses/paramedics, APRN/paramedics, paramedics, communication/transportation specialists, EMT/drivers, business manager, business development managers, and an administrative assistant.